The hover-board industry is an emerging market which means nobody is quite sure what to make of them, or what to call them. The self-balancing electric scooter industry is still waiting for that iPod moment. The moment when a brand sets the bar in terms of price, audience, performance and features. There´s a lot of amateur brands competing for recognition in a busy industry at the moment. The Razor DLX 2.0 is one that stands out from the pack in the children´s market. It may just be the scooter that takes the playground by storm. The DLX 2.0 is primarily a children´s toy aimed at kids 8+. It carries a weight of up to 220lbs and has a top speed of 8mph. The wheels are slightly larger than most models at 8” standing height. It´s also a little heavier weighing in at 29llbs. Inside is two 350W engines that power each wheel which is initiated by leaning in different directions on the deck. 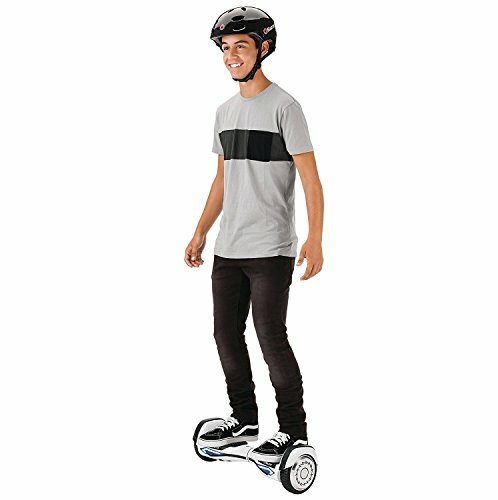 So far, this is an industry standard for self-balancing scooters, it´s when you get into the added features that this hover-board gets interesting. The dual 350W motors can be split depending on rider mode. In economy mode the board reduces its power outage to 175W each. This is great for longer journeys, beginners or when the battery starts to run down. This is also the first product to feature Razor´s patented Everbalance technology. One of the common problems with hoverboards is getting on and off, which has led to scratches on both knees and board. 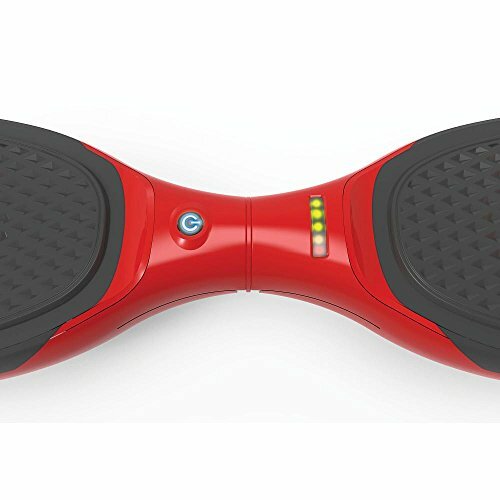 Everbalance sets the scooter to balance itself before and after mounting the board. 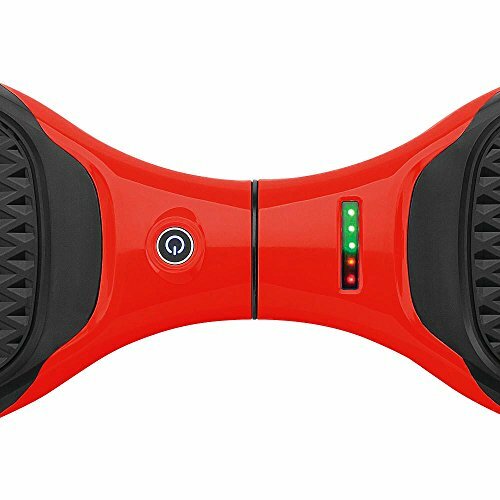 The incessant beeping that indicates the board is about to turn off Everbalance is a little annoying, but it shows that Razor are trying to solve a common problem affecting all hoverboard riders. And the good news is that it works. On the road the Razor DLX 2.0 is an incredibly smooth ride. The foot sensors are light and responsive whilst there´s little to no vibration. The only criticism I have is the foot platforms are a little small but, they won´t be an issue for most children. Part of the reason this board feels so smooth is the gyro sensors fitted inside. These measure the wheels on each side, distributing power equally to ensure riders remained balanced. 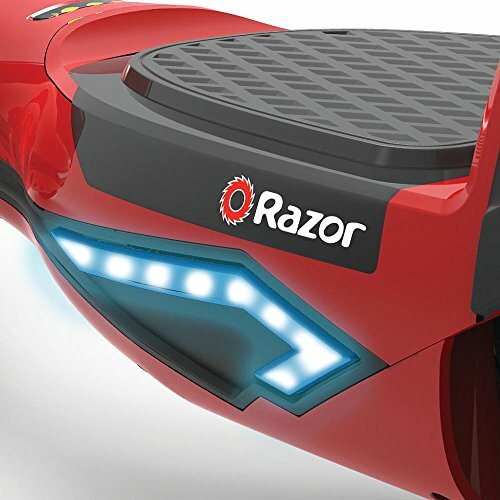 Razor have clearly listened to owner comments and tried to make a product that eliminates common hover-board issues. The outer shell is made from a shatter proof polymer, which prevents the board falling apart during the learning stages. The lithium ion batteries can be taken out and replaced quickly. Which means you can carry spares with you in case you run out of charge mid-journey. The motors are extremely quiet if you want to ride inside the house and you can get it in some seriously cool colors. The DLX 2.0 has device connectivity being controlled by an app alongside LED lights for night riding. There are no speakers built-in although speakers are often added to distract from a products performance rather than an indicator of quality. 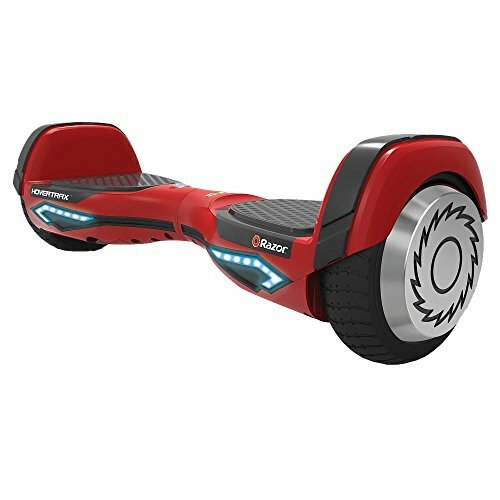 From what I´ve seen the Razor DLX 2.0 is a top class children´s hover-board that could easily become a market leader. Useful performance features like patented Everbalance technology and an option to split the engine performance for economy riding. The team at Razor have really made an effort to eliminate the problems that came with the first generation of hover-boards. The DLX 2.0 has passed 159 separate safety checks. 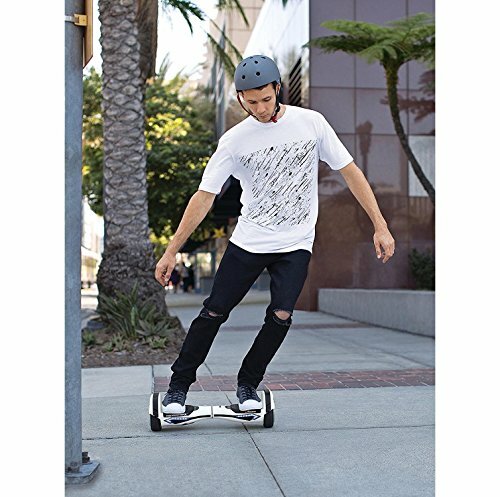 It has batteries that are easy to replace whilst you’re on the road which means you´ll never be stuck having to carry a heavy board home with you. Finally, the balance system that kicks into gear before you step on the board is a godsend for the beginner. Given its overall quality build, low price and fine features I have to rate this as one of the better boards on the market right now. Need more info? Check-out the official users manual.